Rendering for the residential development at 1101-1157 Long Beach Blvd. Courtesy of Rockefeller Kempel Architects. 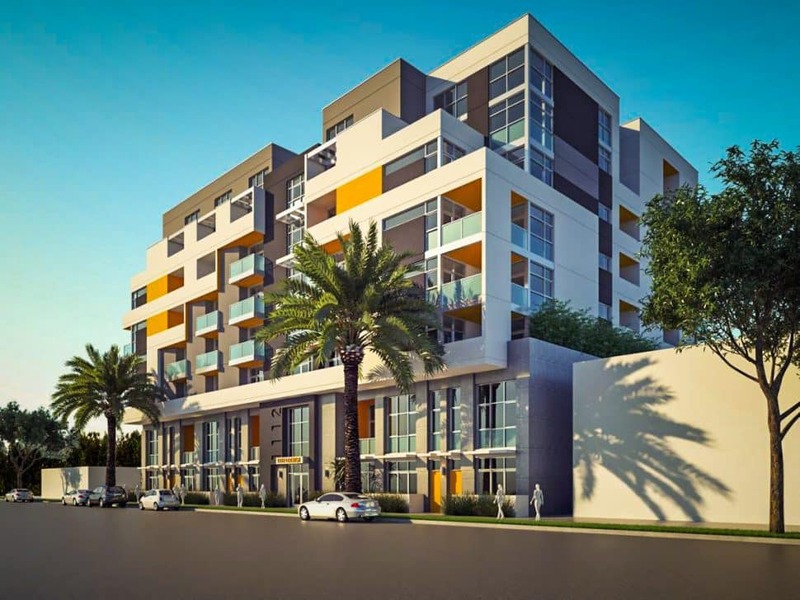 The Long Beach Planning Commission will vote on two proposed residential developments: One 120-unit complex at 1101-1157 Long Beach Blvd. and a 97-unit complex at 1112-1130 Locust Ave. While each of the developments are Downtown and transit-centric, whether or not any of the units will be affordable has yet to be determined. 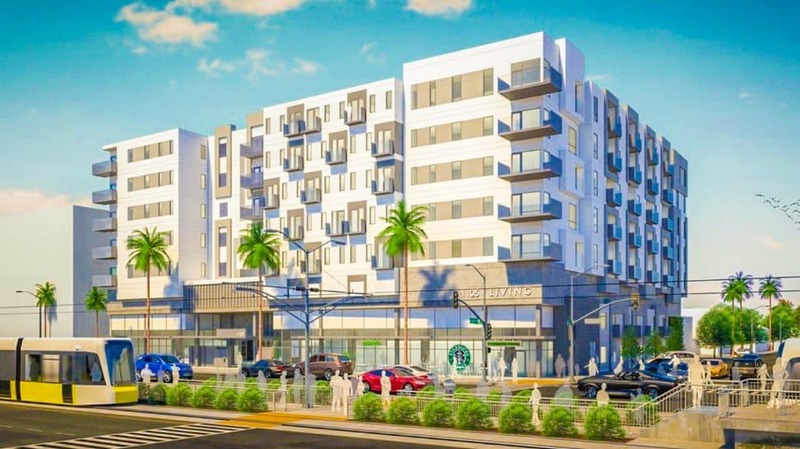 After revealing dismal (if not outright hideous) renderings of the project, fresh renderings of the transit-oriented housing development show off the Long Beach Boulevard project. 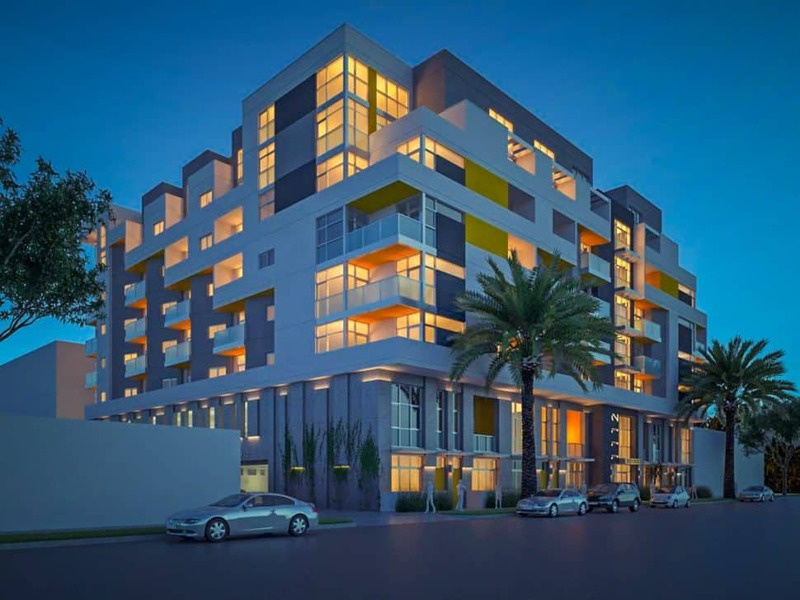 Designed by Architects Orange and developed by one of the groups behind The Current in DTLB, Rockefeller Kempel Architects, the development proposes a seven-story structure set to house 120 units along the west side of Long Beach Boulevard just south of 12th Street. Reminder: This is just a proposal set for the entitlement process through the Planning Commission; if it receives entitlement, it can then be constructed. Set to demolish a two-story structure along with a handful of one-story structures, the new complex at 1105 Long Beach Blvd. will occupy roughly 108,343 square feet with commercial ground floor space on the first two floors. While it remains unclear if any of the units will be affordable, the project will include 4,997 square feet of retail and parking for 151 vehicles. According to Rockefeller, there will three different types of units that include studios as well as one- and two-bedroom units. Housing development by Plus Architects at 1112-1130 Locust Avenue. Courtesy of Plus Architects. The Locust Avenue project, much less ambitious and will host a design that is becoming exhaustingly ubiquitous throughout Long Beach. It will take over a half-acre parking lot and include 97 units, 122 car parking stalls, and 20 bicycle stalls. 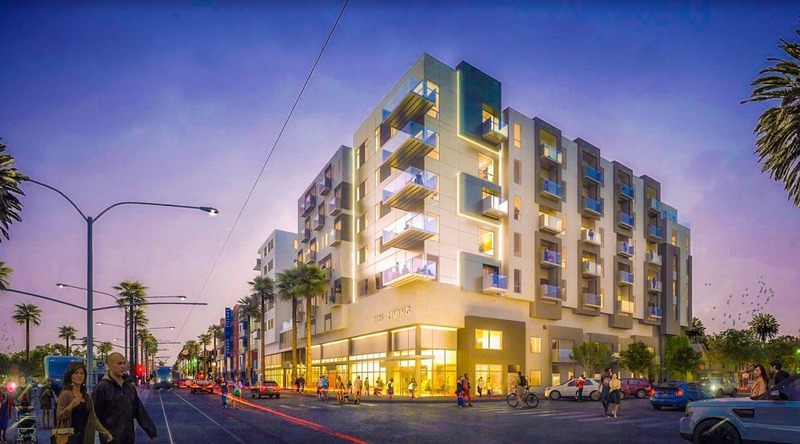 Banal and uninspired—even jacking the same color scheme and design elements as the Linden and Fourth Street development currently underway—the seven-story, podium-type building was designed by Los Angeles-based firm Plus Architects. Units will have studio, one- and two-bedroom options. While the renderings for the Long Beach Boulevard project is a bit more ambitious, both developments join the countless … other … developments … that … lack … both boldness and interest—along with affordability. But: Housing is a good thing in this climate whether it’s pretty or not. The key issues now are just a few small things—mainly focusing on affordability, limiting displacement, creating an inclusionary ordinance, decreasing segregation, protecting marginalized populations, and increasing accessibility. No big deal, everyone. Brian Addison is a columnist and editor for the Long Beach Post. Reach him at [email protected] or on social media at Facebook, Twitter, Instagram, and LinkedIn.